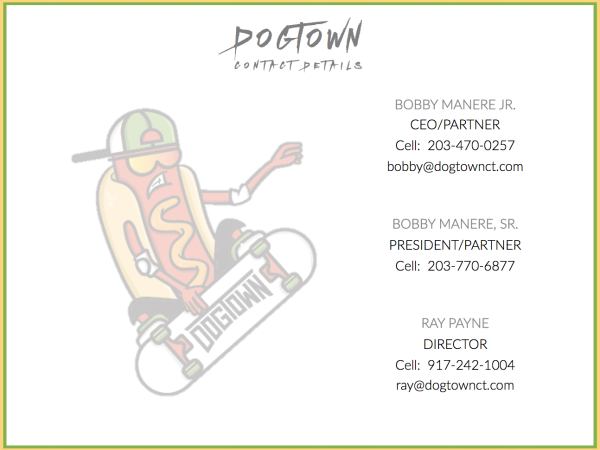 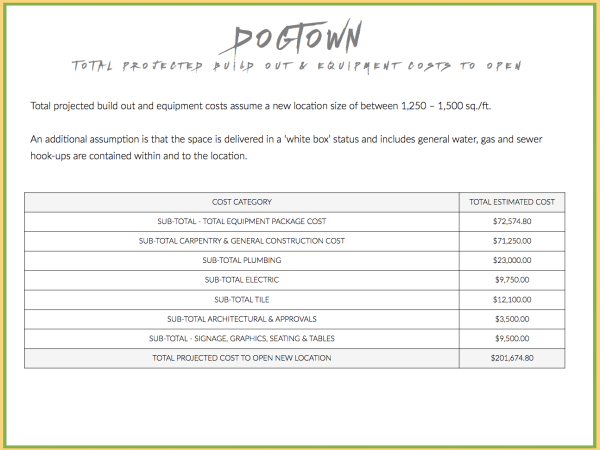 Dogtown started in a 10ft. 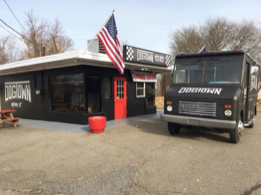 Chevy step van, painted black with side pipes. 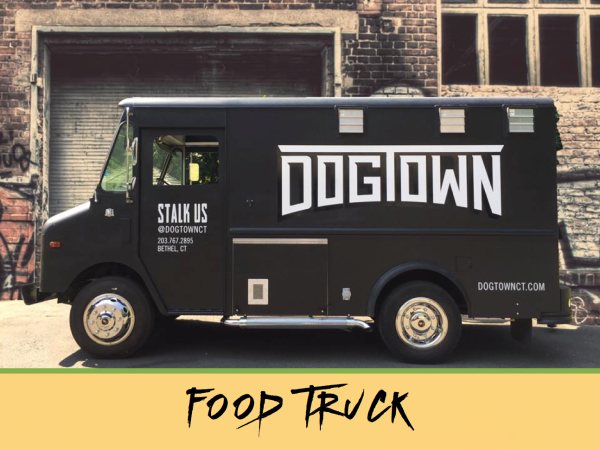 The idea was to make a food truck that actually did what other food trucks have forgotten to do; give you something that you can grab and devour while on the go. 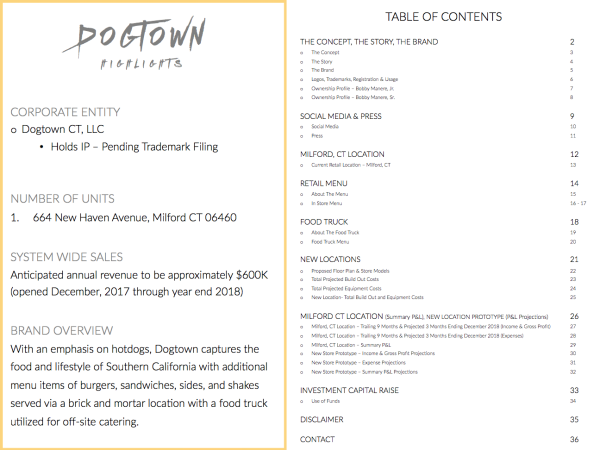 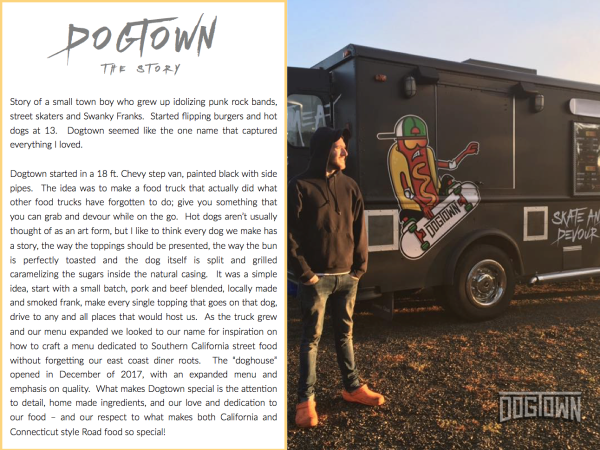 Hot dogs aren’t usually thought of as an art form, but Dogtown likes to think every dog they make has a story, the way the toppings should be presented, the way the bun is perfectly toasted and the dog itself is split and grilled caramelizing the sugars inside the natural casing. 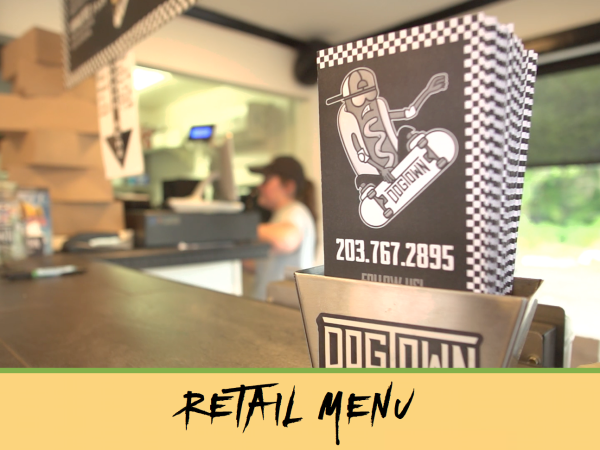 It was a simple idea, start with a small batch, pork and beef blended, locally made and smoked frank, make every single topping that goes on that dog, drive to any and all places that would host us. 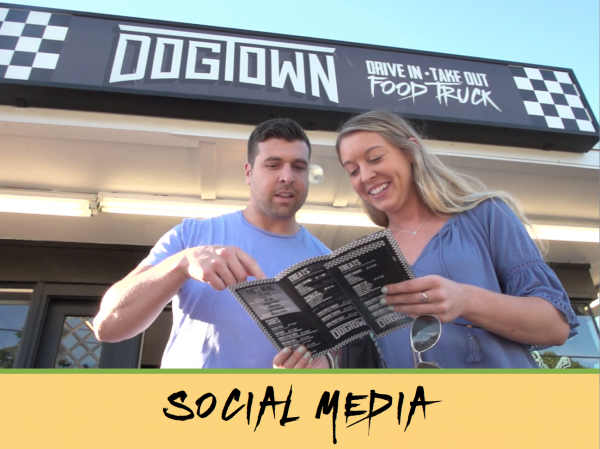 As the truck grew and their menu expanded, they looked to it's name for inspiration on how to craft a menu dedicated to Southern California street food without forgetting our east coast diner roots. 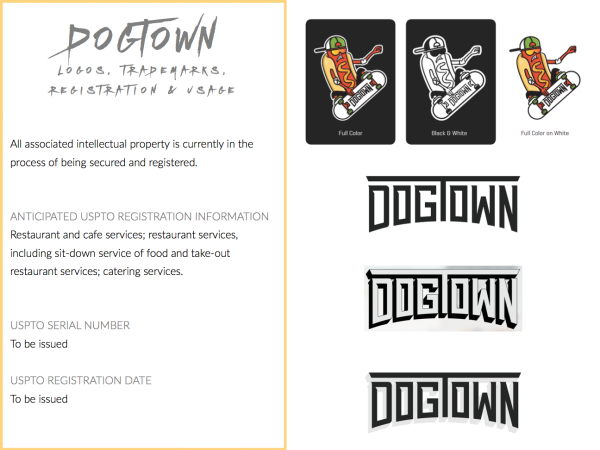 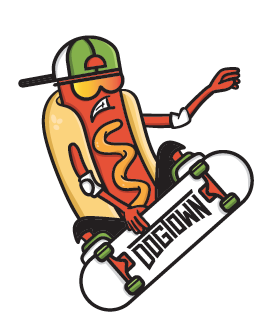 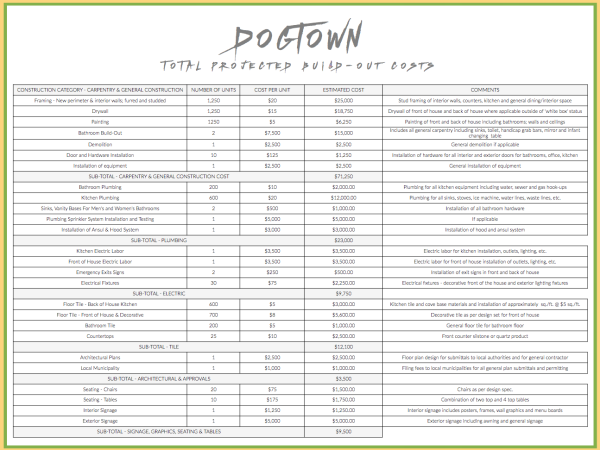 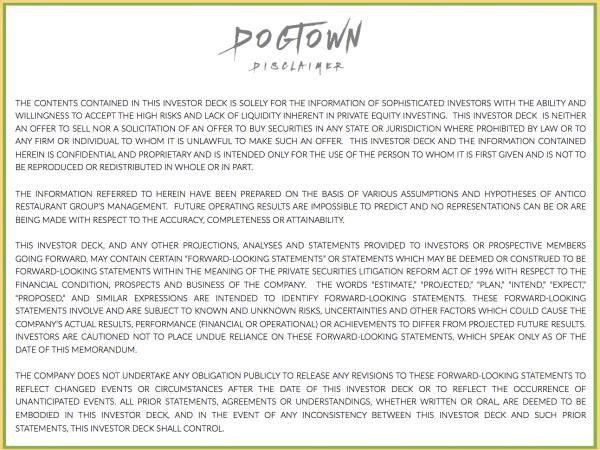 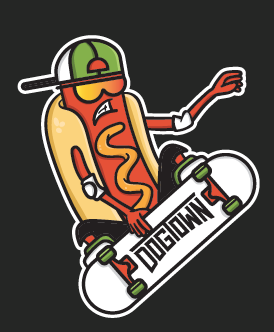 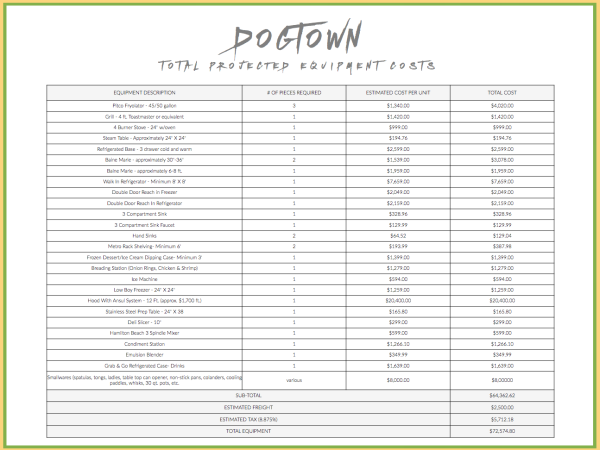 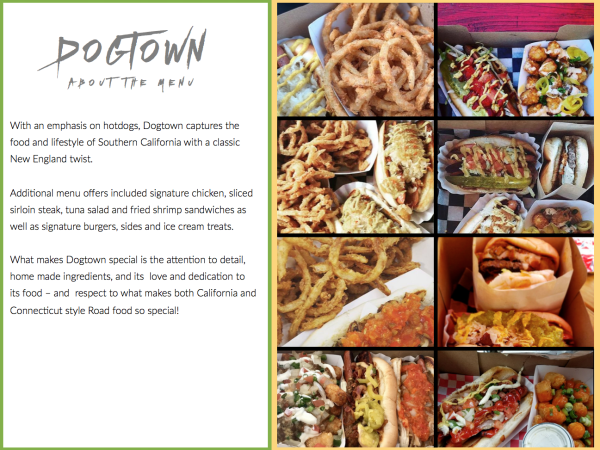 The name Dogtown pays homage to Southern California’s 60’s and 70’s culture and music. 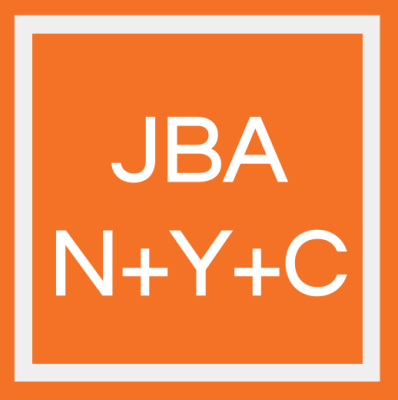 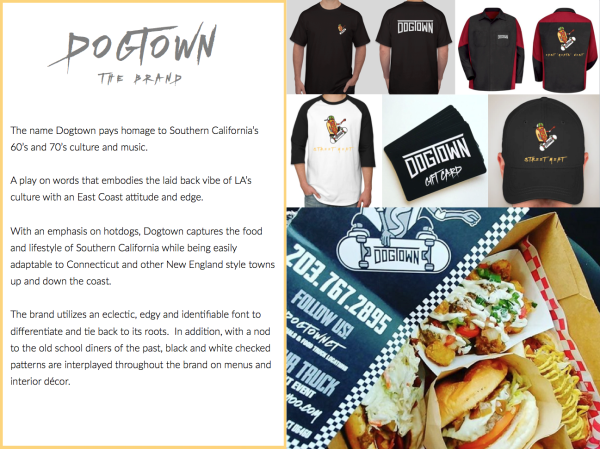 A play on words that embodies the laid back vibe of LA’s culture with an East Coast attitude and edge. 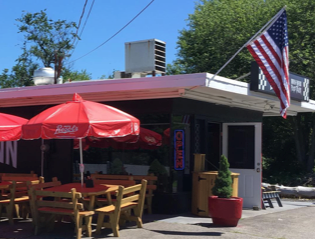 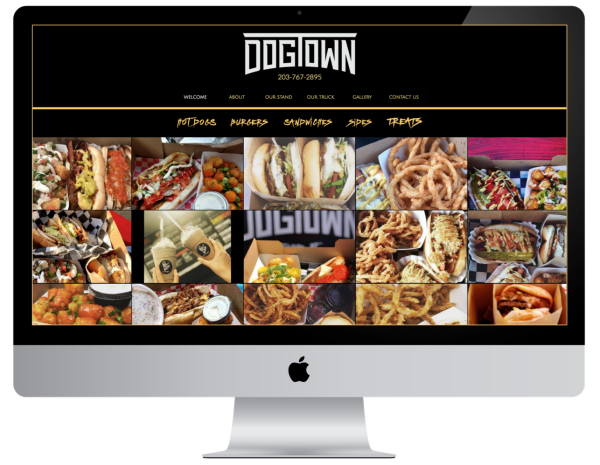 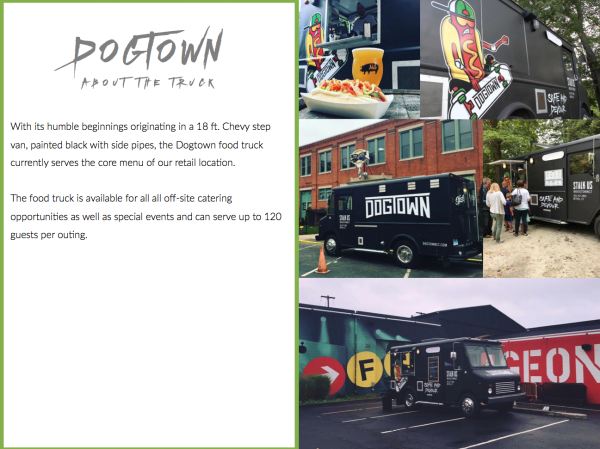 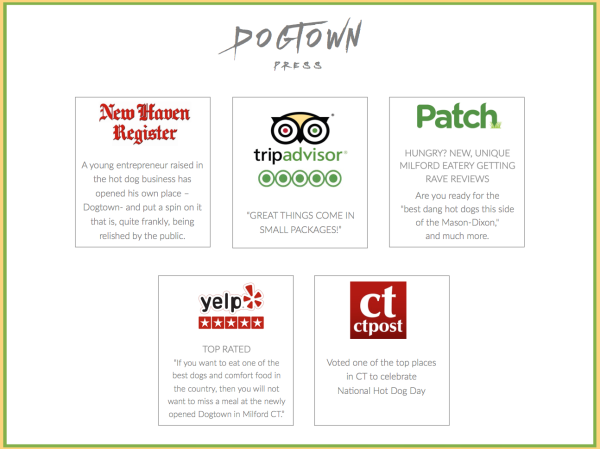 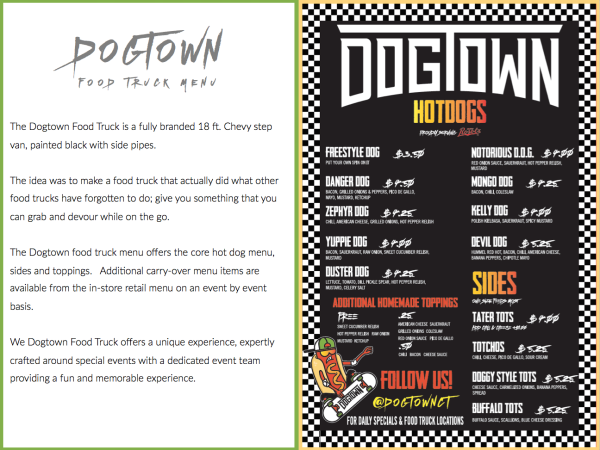 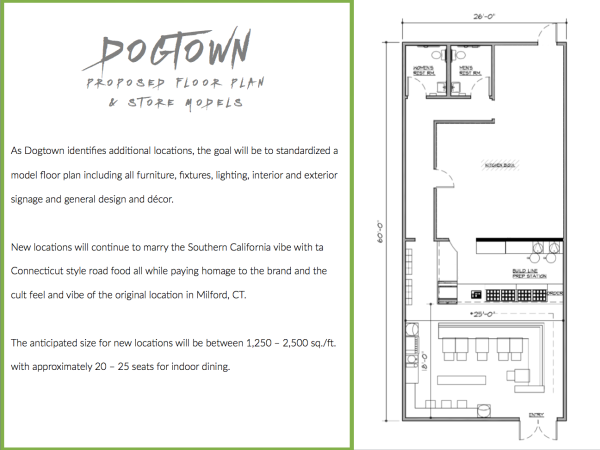 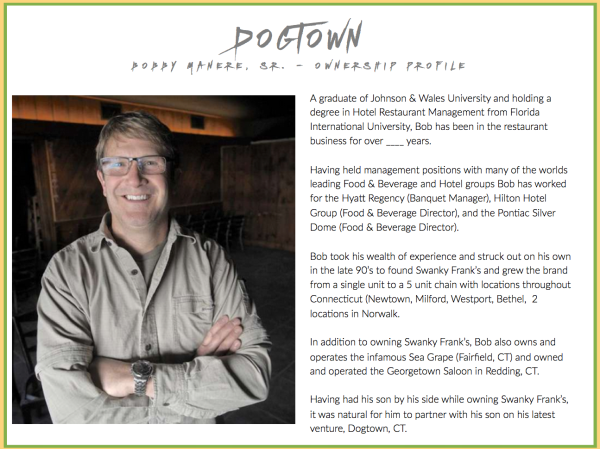 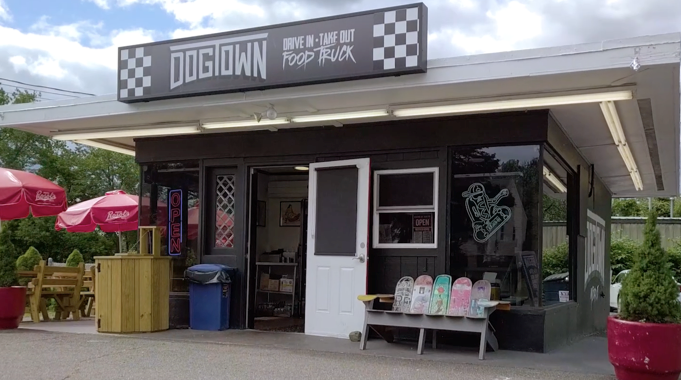 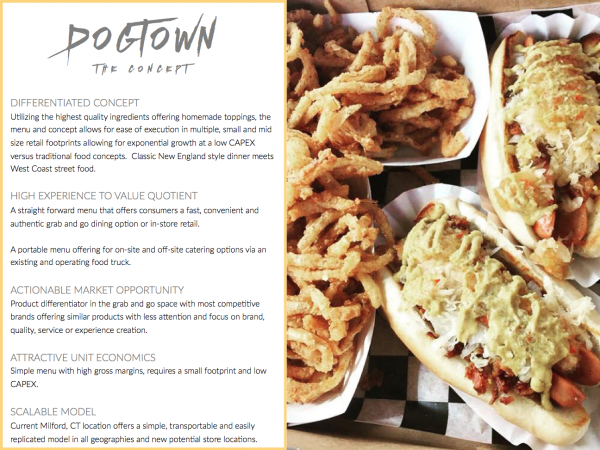 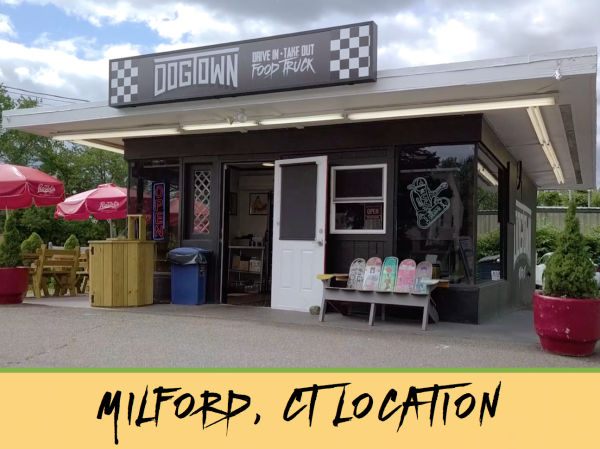 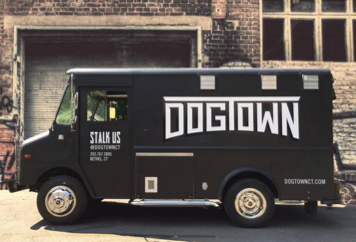 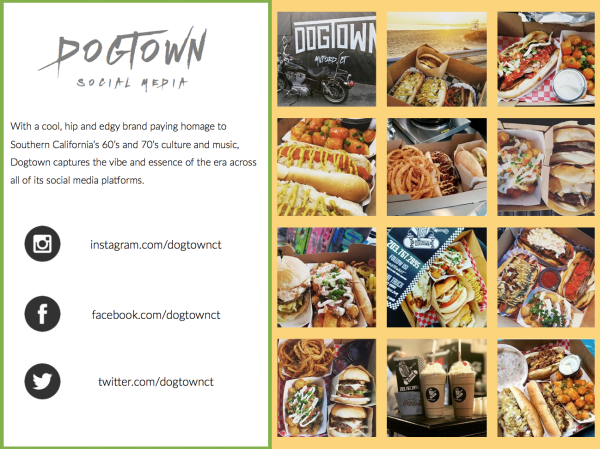 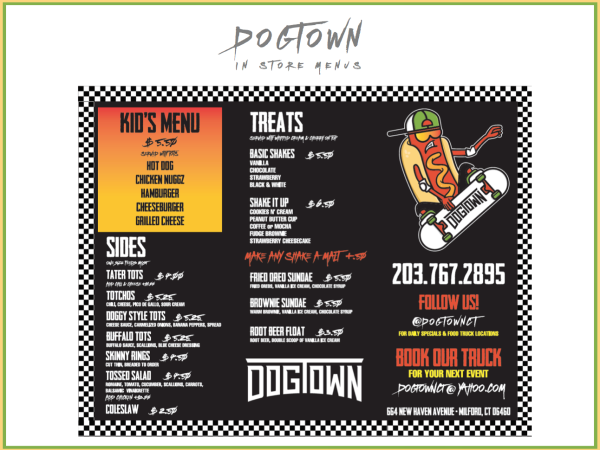 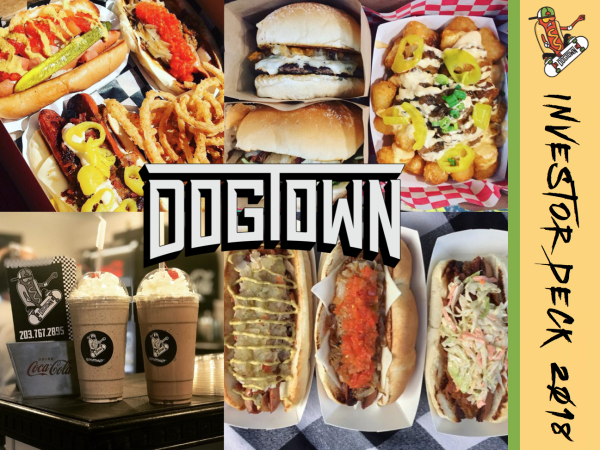 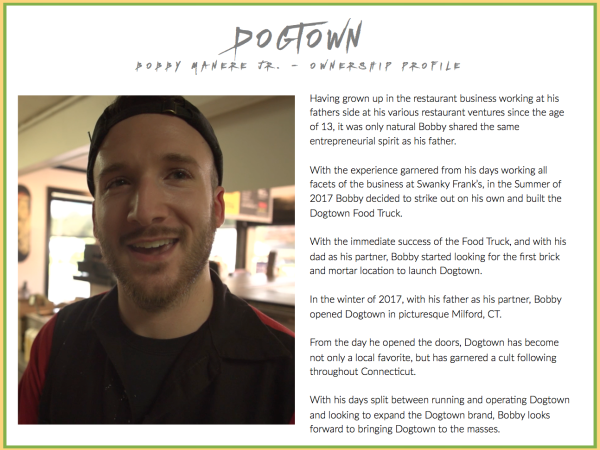 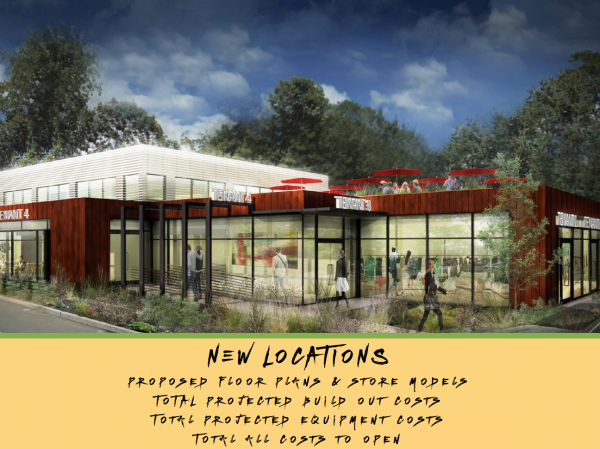 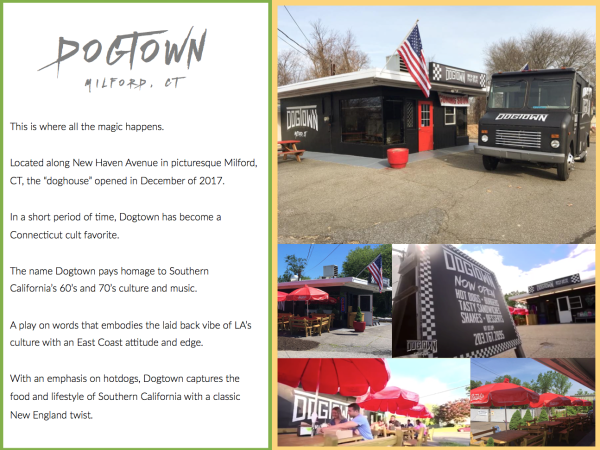 In a short period of time, Dogtown has become a Connecticut cult favorite - by paying respect to what makes both California and Connecticut style Road food so special!